With DL-MUX4 KVM switches, you can operate 4 computers over 1 user console. The device is available in variants transmitting 1, 2, 3, or 4 video channels. 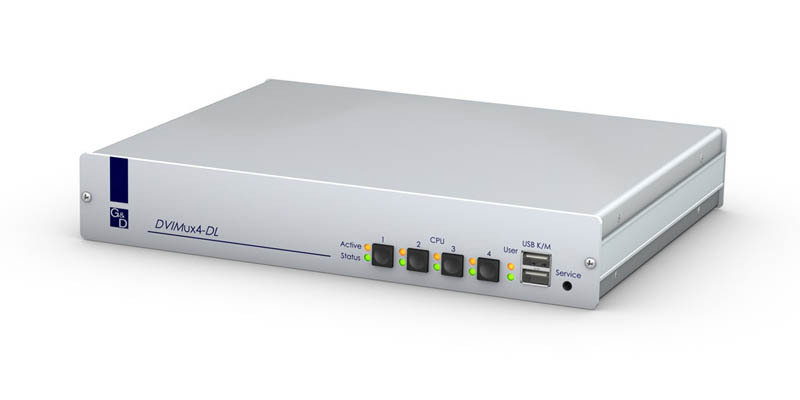 With its network connection, the web interface and DLM monitoring, the DL-MUX4 provides numerous features for mission-critical applications. The integrated DLM-Monitoring auto-transmits device status messages to syslog servers or sends them as SNMP. Manual monitoring is carried out over the web interface.